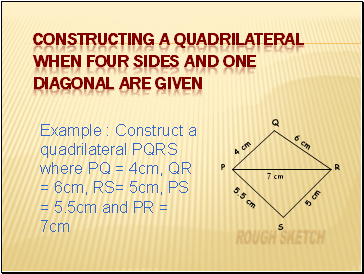 When four sides and one diagonal are given. 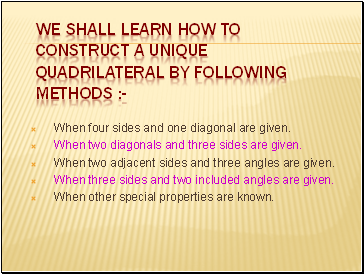 When two diagonals and three sides are given. 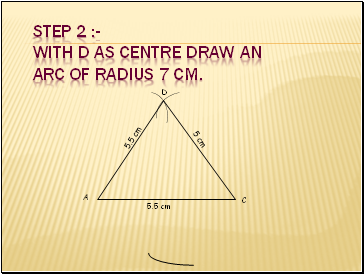 When two adjacent sides and three angles are given. 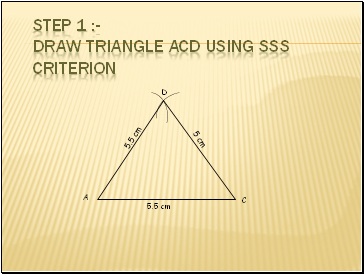 When three sides and two included angles are given. When other special properties are known. 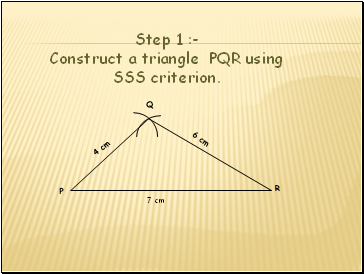 P Step 1 :- Construct a triangle PQR using SSS criterion. 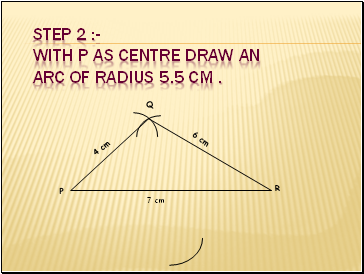 Step 2 :- With P as centre draw an arc of radius 5.5 cm . 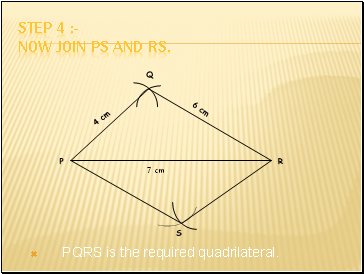 Step 4 :- Now join PS and RS. 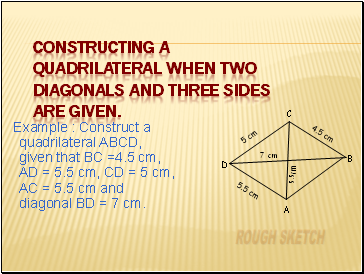 Constructing a quadrilateral when two diagonals and three sides are given. 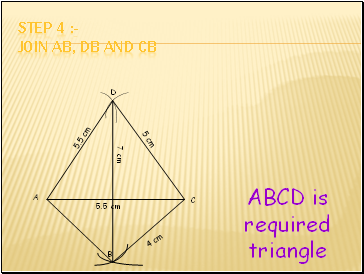 Example : Construct a quadrilateral ABCD, given that BC =4.5 cm, AD = 5.5 cm, CD = 5 cm, AC = 5.5 cm and diagonal BD = 7 cm. 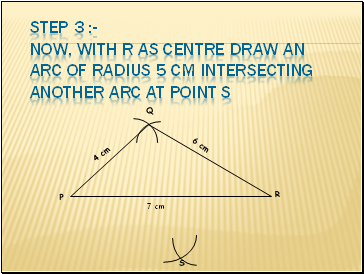 Step 2 :- With D as centre draw an arc of radius 7 cm. 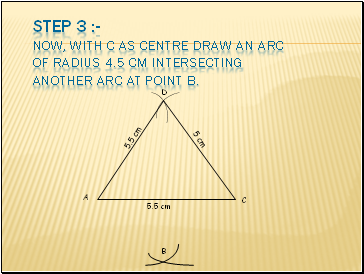 Step 3 :- Now, with C as centre draw an arc of radius 4.5 cm intersecting another arc at point B.
Constructing a quadrilateral when three sides and two included diagonals are given. 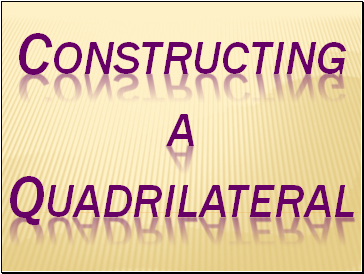 Constructing a Quadrilateral when other special properties are known.